Push Notification messages will pop up on your users" phones, even when the app isn't running". 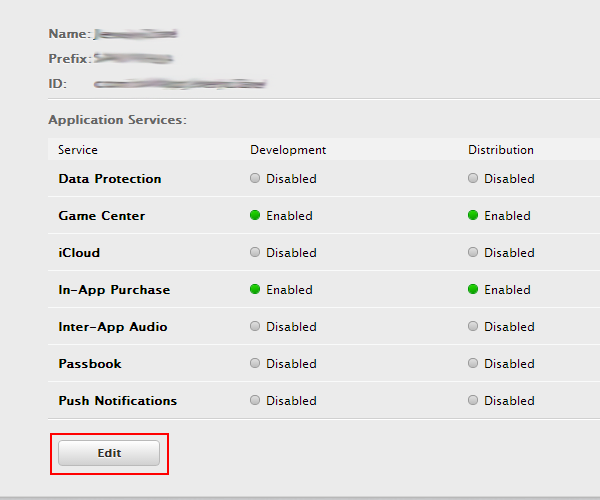 Notifications are managed through the "Notifications" tab in your Dashboard. NOTE: Push Notifications is a premium feature, only available for apps on a premium plan. Upload the .CSR generated earlier. 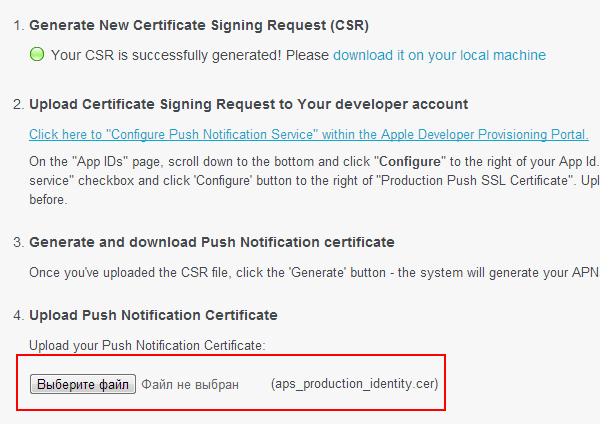 Click on the 'Generate' button - the system will generate your APNs SSL Certificate. Download it on your computer. 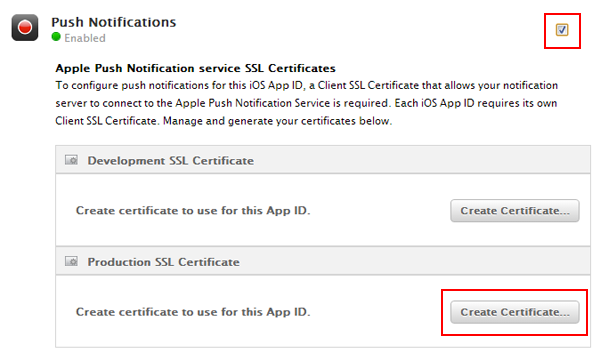 NOTE: Push Notifications is only available after app submission on Apple Store. You’re all set! Now you can type your notifications into the Message field and push them to your customers!